In the world of fashion, designers often look to the past for inspiration.. Grunge pieces reminiscent of the 1990’s and miniature handbags harkening back to the early 2000’s have made a resurgence in the past few seasons. Perhaps no decade has seen more love in recent years than the 1970’s, with bell bottom jeans, crocheted accents, wide belts, and more dotting every runway from New York to Milan. Now, I love a good flower child look as much as (if not more than) the next girl, but right now it’s all about 80’s. Think accented shoulders, cinched waistlines, legs for days, and more lamé than might be good for us. If you’re finding the ocean of high waisted pants, baggier tops, white booties, patterned dresses, and puffy sleeves a bit overwhelming, here are some style icons to look to for guidance in the coming months. Some are real, some are fictional, but all are fashionable. 1. For those of you with a classic or preppy style, look to none other than Diana, Princess of Wales, for your spring and summer aesthetic. Virgil Abloh, one of the hottest fashion designers in the world, dedicated his entire current Off-White collection to the late “people’s princess.” To work Diana’s style into your own wardrobe, there are a couple key looks to nail. First and foremost, explore what you can do with a white button down. The Princess often paired the fashion staple with high waisted, light washed denim, for a put together, off duty look. She wore a similar top with cream slacks and pale loafers for a poised and sophisticated twist. In order to replicate her style, don’t forget the importance of accessories. For these outfits, Diana finished her look with stunning accent belts, classic sunglasses, and even an emerald colored bag. Second, learn how to smarten things up. Diana proved that you can look incredibly stylish, even while dressed casually. 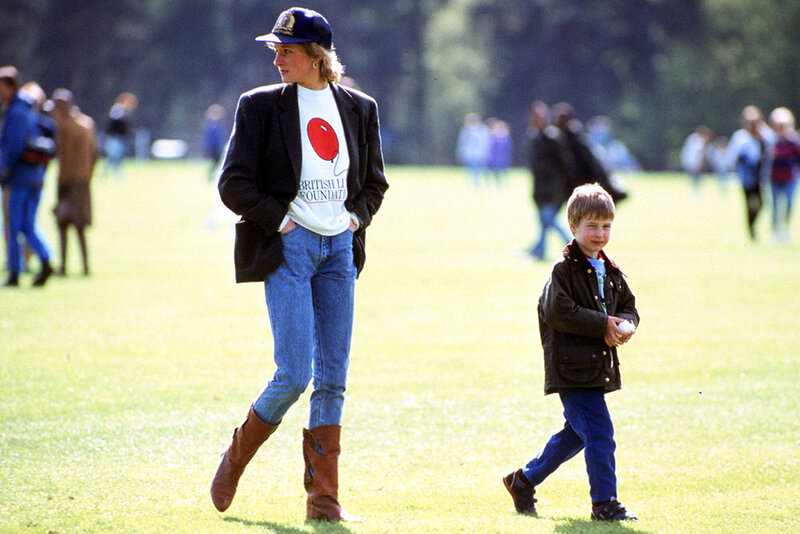 While on an outing with a particularly adorable Prince Harry, the simple addition of riding boots and an oversized blazer completely alters the look of Diana’s jeans, sweatshirt, and baseball cap. Finally, rock a revenge dress. Princess Diana had one of her most iconic and legendary fashion moments on the night her husband publicly admitted to his extramarital affair. While Charles was off doing God knows what with everyone knows who, the Princess of Wales looked stunning in an off the shoulder, black, velvet cocktail dress. Finishing off the look with a gorgeous sapphire and pearl choker made from a wedding gift from the Queen of England is of course optional. When emulating the style of Diana, Princess of Wales, it is crucial to attempt to emulate her lifestyle as well. I don’t mean living in a palace or marrying a prince -- I mean attempting to leave the world better off than when you found it. In one of the above photos, the Princess was actually in Bosnia on a crusade to remove deadly land mines. Diana worked tirelessly for this cause, helping AIDs patients, and countless others during her lifetime, so be sure to take inspiration from her in more ways than one. 2. For the girlier among you looking for summer fashion inspiration, download Dirty Dancing and start taking notes. For a start, invest in a pair of high waisted denim shorts. Whether you hit up your local thrift store or shop online, these shouldn’t be too difficult to find. Add a belt to cinch your waist, perfect for secret dance practice. Finally, finish off the look with a barely there top, in this case either a classic bodysuit or a cropped tank. You can also experiment with hemlines so, don’t be afraid to try a longer pair. For the next look, Baby wears a simple, oversized plaid shirt with white jeans and sneakers. The effect is summery and effortless. Many celebrities and models are jumping on the “matching sets” bandwagon. Try teaming a flirty mini skirt with a matching crop top to achieve a look like the one Baby sports here. With a little effort, these pieces can be found in a retro fabric such as plaid or gingham. 3. 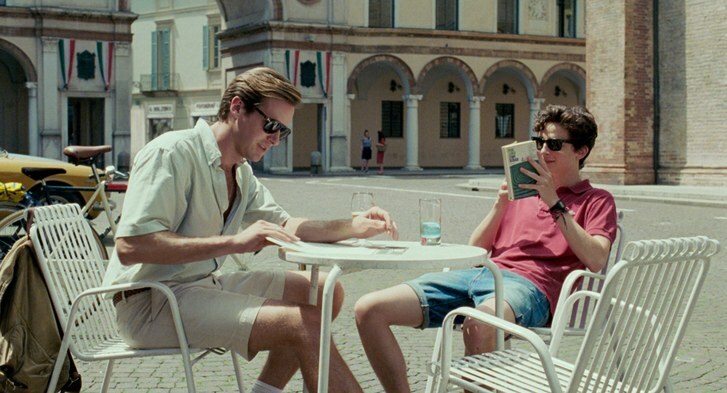 Finally, if you’re looking for a romantic, European style for summer, or just a healthy dose of heartbreak and eye candy, be sure to see Call Me By Your Name. This source for summer fashion inspiration is less about specific outfits and more about a general mood and color palette. Everything is sun drenched and softly colored. 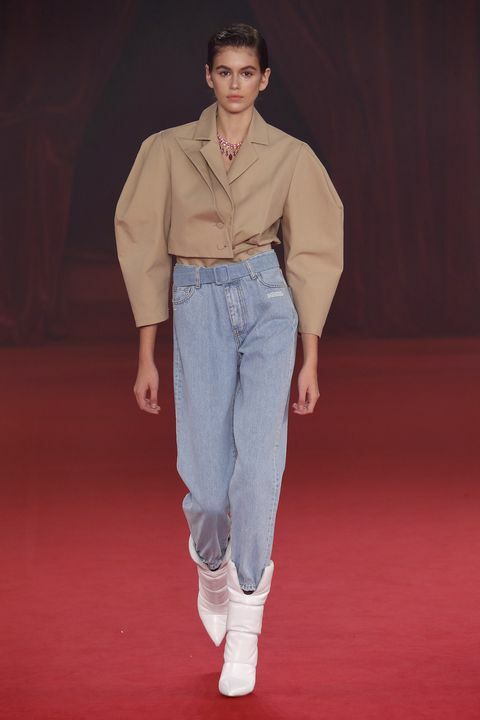 Sure, there are anchor pieces such as light denim, oversized oxford shirts, short shorts, and vintage sneakers, but the look is really about a certain aesthetic. If you look in the mirror and discover that you would not be out of place strolling down a cobblestone street or biking across rolling hills in a small, Italian hamlet, then you have been successful. See the looks below for reference and be sure to finish any outfits with half completed musical compositions, books on ancient civilization, and an appropriately brooding stare. So, don’t be afraid to dive back a few decades for your summer wardrobe. Whether you choose to adopt Princess Di’s classic outfits, Baby’s youthful looks, or Call Me By Your Name’s vintage Italian style, I wish you the best of luck.